Seasonal art workshops and Summer art camps provide a quick and easy way for students of all ages to gather and learn how to create a specific topic or theme in a short period of time. Visiting artists provide unique opportunities to learn new methods. From time to time we have art events for people of all ages and ranges of creative skill. These typically center around specific themes, holidays, visiting artists, art styles, art supplies, or techniques. Looking to just improve your general art skills? Try one of our classes! 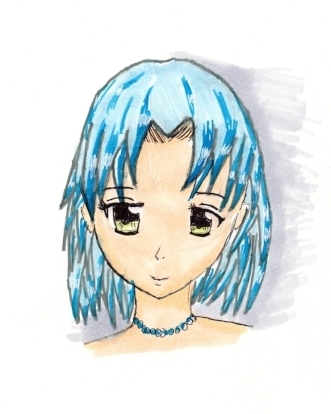 An introduction or continuation (if student previously has taken this class) to Japanese Manga cartooning used in comic books and for anime films. Students will learn to draw facial features and body positions or improve their skill in the style of Manga and create their own characters. This camp is 4 consecutive days. Cost: $145 ~All materials included. For students who have taken Manga I with us at least once and want to continue to develop their skills in character creation and style as well as story telling and panel creation. This is a 4 day camp that occurs Tuesday- Friday. Cost: $145 All materials are included. Students will learn a variety of painting techniques while painting a number of different subjects. This class will include acrylic on canvas, watercolor on paper and multi-media effects. This is a 3 day camp that occurs on Wednesday, Thursday & Friday. Cost: $120 ~All materials & canvases included. Students will have fun and learn about sea life . We will learn about and how to draw creatures that inhabit the ocean. This is a 1 day camp that occurs on Tuesday. Cost: $34 ~All materials are included. Students will draw imaginary mythical creatures. We will learn about and how to draw creatures like dragons and unicorns that have captured the imagination for centuries. This is a 1 day camp that occurs on Wednesday. Cost: $42 ~All materials are included. Students will learn about and draw a variety of rain forest animals including location and habitat, shape and proportion. Several types of drawing media with be used, This is a 3 day camp running Tuesday through Thursday. Cost: $110 ~All materials are included. Students will have fun doing a drawing things that crawl, fly and flutter. This is a 2 day camp that occurs on Wednesday & Thursday. Cost: $62 ~All materials are included. Students will have fun and learn about sea life . We will learn about and how to draw creatures that inhabit the ocean. This is a 2 day camp that occurs on Wednesday & Thursday. Cost: $62 ~All materials are included. Have a group interested in a specific topic? Girl Scouts, youth group, birthday party, home school group? Contact us today to discuss what options are available to you.